The Forest School experience gives pupils a chance to make choices and manage risks in a safe natural environment and each session enriches their learning and links to various areas of the National Curriculum. 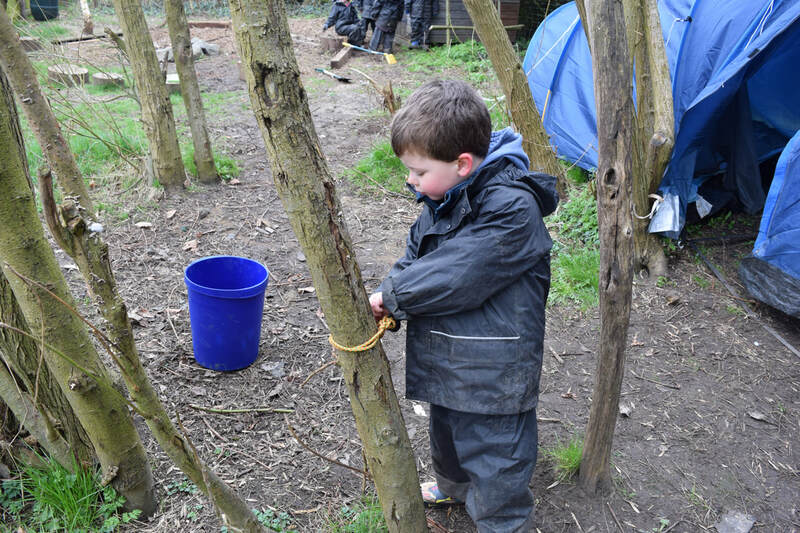 Although a relatively new teaching programme, Forest School is already renowned for building a pupil’s self-esteem, self-confidence, social skills, concentration and independence. ​Learning activities are easily tied in with topics and National Curriculum subjects. Below are a few examples of where Forest School supports the National Curriculum and some possible activities that may be done. EARLY YEARS FOUNDATION STAGE – Especially Personal, Social, Emotional Development, Communication and Language and Physical Development. LITERACY- Using descriptive vocabulary, speaking and listening that can then be applied in their learning when writing about Forest school sessions. 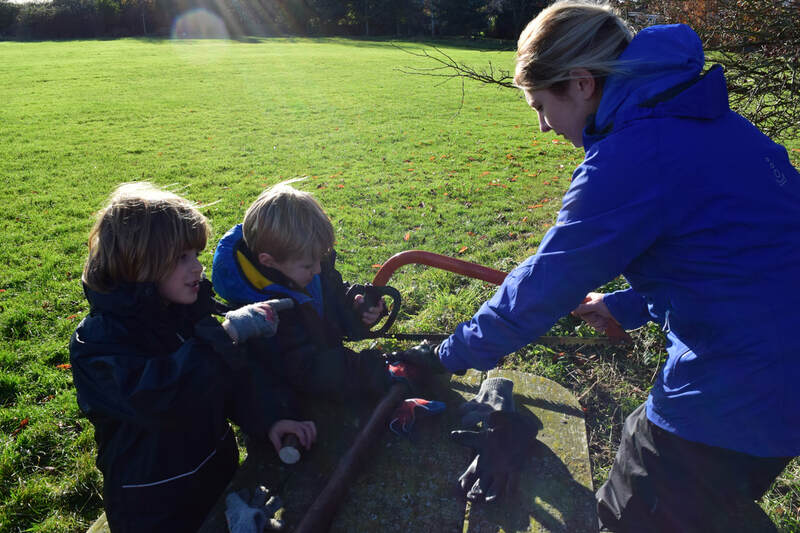 SCIENCE – Being surrounded by nature enables the children multiple opportunities to investigate the world around them. 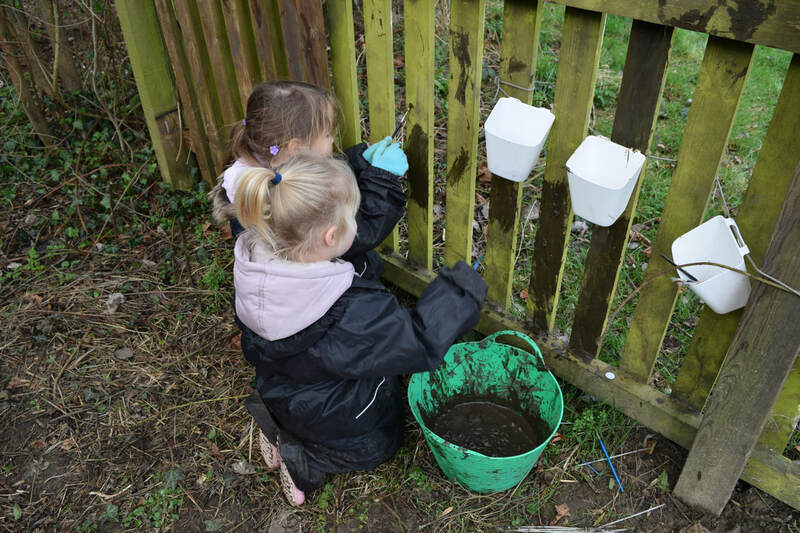 This may include activities such as mini beast hunts, pond dipping, plants and growth, investigating forces and materials and living things and their habitats. MATHS– Using Maths skills to design and build shelters using estimating and measuring skills, investigating co-ordinates and bearings using compasses, measuring trees to estimate age. ART– Using natural resources that are found in the woodland to create art pieces, using natural pigments and making charcoal for drawing. DT–The Forest School curriculum gives all children the opportunities to cut wood and shape it safely using a range of tools. 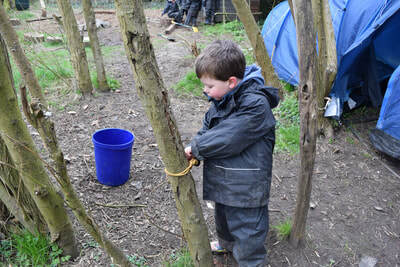 Children also have the opportunity for felling and cutting long limbs of the trees, using different tools to achieve a goal and learning new skills.